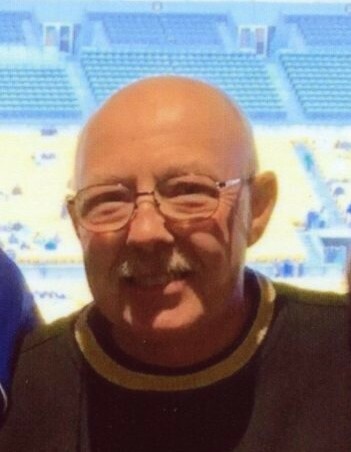 Obituary for Frederick K. Sauers | Matthew X Merlin Funeral Home, Inc.
Frederick K. Sauers, 70, of Derry Twp., died, Sunday, January 27, 2019 at Excela Health Westmoreland Hospital . He was born February 27, 1948 in Latrobe, PA, a son of the late Melvin A. and Virginia Mae (Jones) Sauers. Prior to retirement Fred worked for Carborundum in Latrobe. He was a US Army veteran having served during the Vietnam War. Fred enjoyed baseball, golfing, fishing, going to Disneyworld and, traveling. He was a member of the Word of Life Church in Greensburg. Fred is survived by his loving wife of 48 years Kathy L. (Barner) Sauers of Derry Twp. ; two daughters Michelle L. Corbett and husband Wayne of Blairsville and Tracy L. Huffman of Clarksburg; two brothers Larry M. Sauers of Blairsville and Thomas E. Sauers and wife Georgia of New Alexandria; one sister Carole Schall and husband Michael of Derry; seven grandchildren Damian, Larissa, Jocelynn, Maxx, Wesley, Lea, and Lynzie; one great grandson Preston and numerous nieces, nephews, and friends. Family will receive friends for a gathering 6-7PM February 7, 2019 in the Matthew X. Merlin Funeral Home, Inc. 529 N. Chestnut St. Derry, PA 724-694-8331. A memorial service will follow 7pm in the funeral home with the Pastor Sheldon Moore officiating. Online condolences may be made to www.merlinfuneralhome.com.